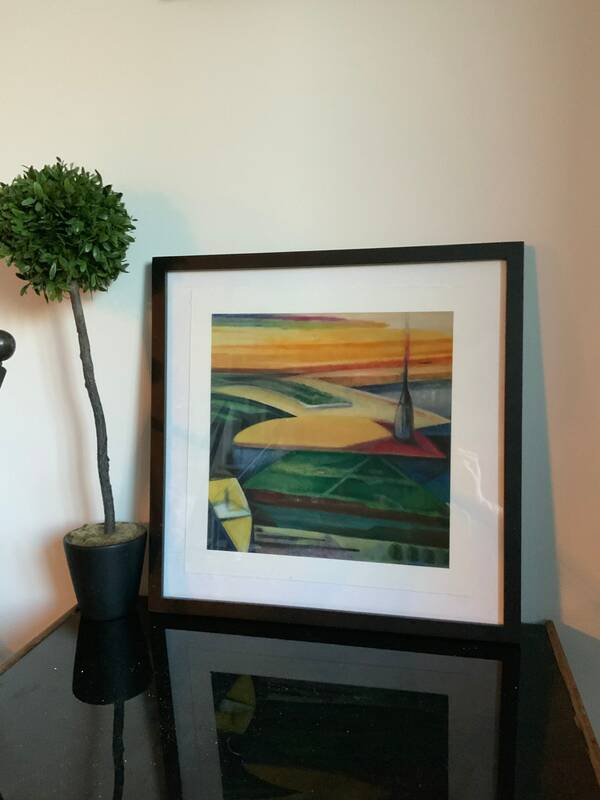 Giclee print of the original oil painting “St F in the Dessert” (2018). 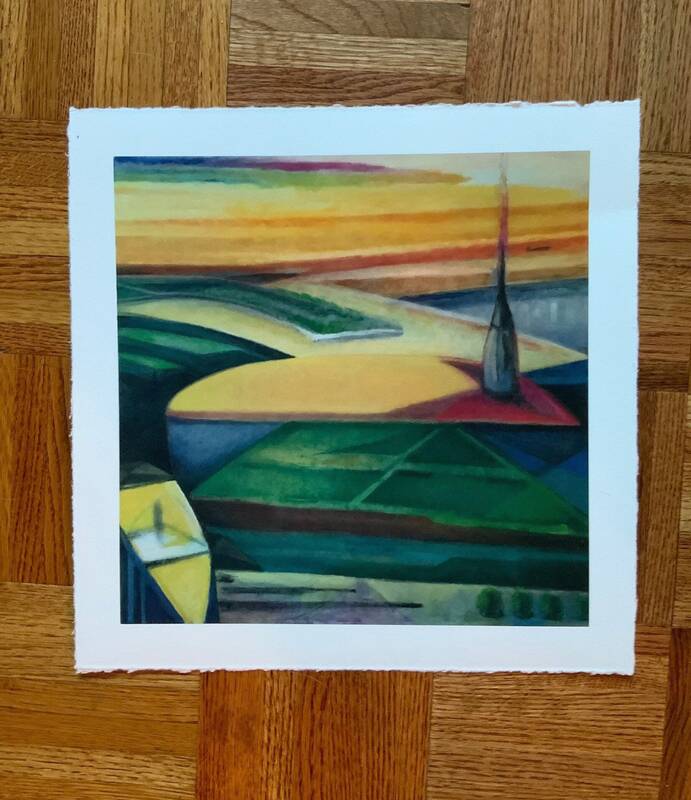 Limited edition Giclee print on a German etching paper, with some hand coloring. 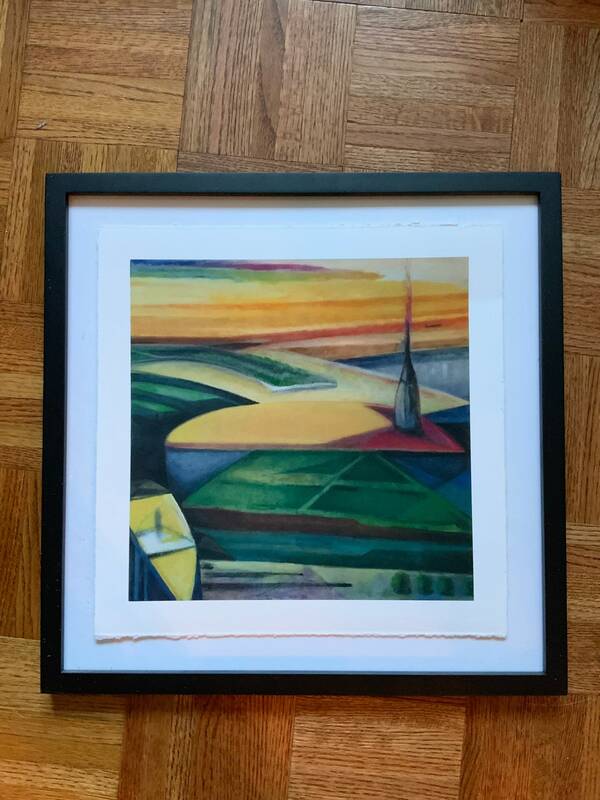 Image size shown is 12”x12”. Frame is not enough included (West Elm frame shown). This painting is influenced by Giavanni Bellini's St Francis in the Dessert at the Frick Museum NY. Although this isn't a literal interpretation of the subject matter of Bellini's masterpiece, the influence comes from the smallness of the figure within the landscape, the strong warm light against the coolness of the landscape, and in the way the space moves back diagonally.